It is hard to imagine completing your household chores without the help of the washing machine. So what happens if it is not working properly?? Often times, it is a minor issue with a simple solution. 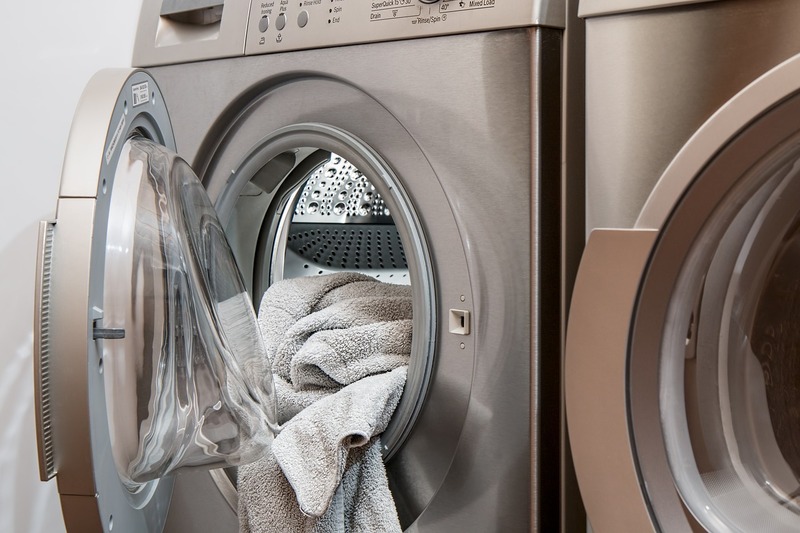 So before you panic, read these five common washer problems and how to take care of them- and it is likely you’ll be able to get things back up and running on your own! Always start by checking that the machine is indeed plugged in and that it is in a working outlet. Make sure that the lid or door is tight on the machine. Washers are designed to not run unless the lid/door is properly aligned and secure. If there is still water in the tub when the cycle is done, you could be using too much detergent. Try backing off the amount or check the manual for the proper amount. Water on the floor could indicate a clogged drain hose, so the hose should be inspected for kinks or blockages, and should be flushed out if any are found. Make sure there are not foreign objects in the machine, such as lodged in the pump or between the basket and tub. Things like coins, socks, and hair pins can do a lot of harm to the washer. Always make sure to check and empty pockets before clothing is put in, to prevent this from happening. The clothing load could simply be unbalanced, and you can stop the load and readjust the clothing until you get it more balanced. Sometimes a load that is too full can go over the load weight recommendations and throw the machine off. Always check the manual for proper load size. If your unit has adjustable feet, make sure that they are adjusted to properly line up with your floor. This is especially important if your floor is not level. Not being level will cause the machine to shake. The dispenser could need to be cleaned. Pour warm vinegar in the dispenser and run it on a regular cycle. This should breakdown any residue, and it should probably be cleaned monthly as a way to keep it flowing properly. It is extremely important to be using the correct detergent/product for your specific washer, as the incorrect type will not always work. Check the manual and see that you are using a compatible product. This could be due to an unclean tub, so run an empty hot load, using white vinegar instead of detergent. It is recommended to clean the washer once a month. Using too much detergent can cause a film to build up in the washer, so make sure to use the proper amount. Check the rim and crevices of the washer for any mold or mildew, as this can build up in washers that are not used as frequently. Always pay close attention to how your washer is running and note any changes. Catching a problem early on can prevent it from becoming a major issue. Hopefully you can now continue laundry day with no problems! Thank you for reading! Visit the rest of our blog to see weekly posts for more information and tips for your household appliances! Browse our main website to find new affordable OEM parts for your major household appliances.